Weather magic is an iOS app developed for Finggs. 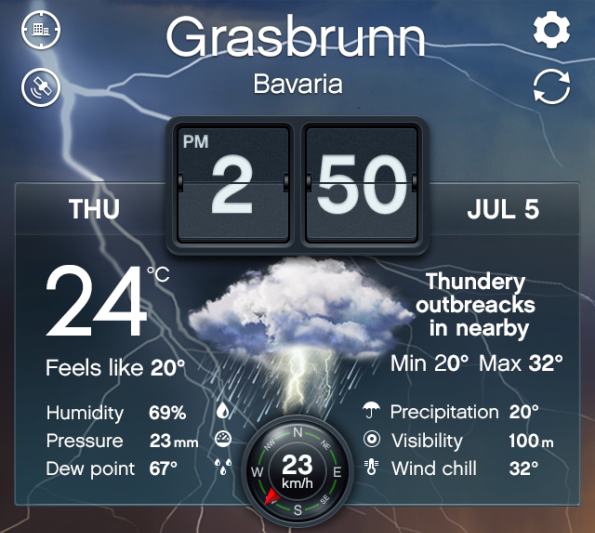 It is a utility weather app that allows the users to get live weather updates of multiple locations all at once. It is available for both iPhone and iPad. Weather magic pro has a visually striking user interface and it allows user to see not just current weather information but also the forecasted weather info.